As AWS Hong Kong region launches, organizations are curious about how to make the most of it. With a lower latency and local data sovereignty, AWS is now an optimal choice as your extension to existing data center. 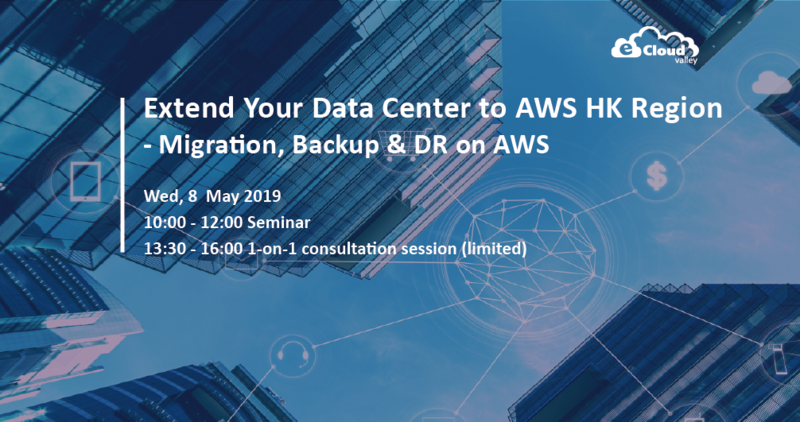 In this event, eCloudvalley will introduce CloudEndure – a highly automated disaster recovery and migration tool, as well as different back-up methods on AWS. I agree that I'd like to receive information from Amazon Web Services, Inc. and its affiliates (AWS) related to their services, events and any special offers by email, post, or other forms of communication. You may unsubscribe at any time by following the instructions in the communications received. I have read the privacy statement of eCloudvalley and have agreed to let eCloudvalley collect, process and utilize my personal data in accordance with the law.